Hosting a meal can be a challenge. 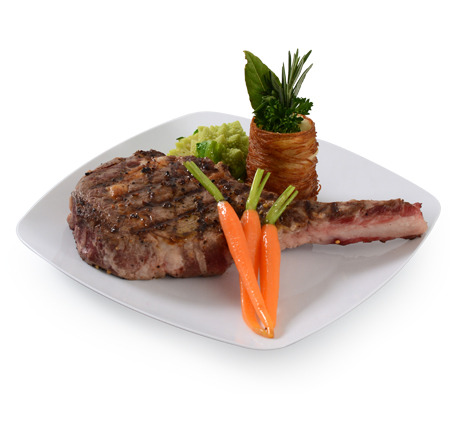 With every detail from the guest list to the menu, you want to impress. So what are you serving on? Bringing out your best plates isn’t an option for larger groups, and for most occasions, it isn’t necessary. At the same time, with all of the effort you’ve poured into your event, using run of the mill tableware or paper plates isn’t appealing. Have you considered disposable plastic plates? Disposable plastic plates from Fineline Settings offer the convenience of disposables without compromising on quality, making the food that you serve look even better. First impressions are important, and when guests are presented with their meal, they aren’t just looking at the food – they will see the plate behind it. Using fine disposable plates will embellish the attractiveness of any course, while reinforcing your sense of style. With a variety of lines available from modern to classic, Fineline Settings has disposable plates to match your theme and décor, as well as full lines of coordinating bowls, stemware, and servingware. With a planned event, everything should fit together. Take the same care with your table settings as with the menu. High quality disposable plates are available in sizes for every course, from appetizer to dessert. Using tableware from Fineline Settings, the stunning cuisine that you offer your guests won’t be discredited by mismatched or unsuitable tableware. After the food has been eaten, the kitchen will remain spotless thanks to the convenience of disposable tableware, saving you hours of time. Disposable plates from Fineline Settings are not the same as the paper plates you might expect to see at a barbeque. Our plates and accompanying tableware are high quality, durable plastic pieces with innovative design. Available in a wide variety of styles, sizes, and colors, our disposable plate is appropriate for classic gatherings or contemporary get-togethers. We offer unique product lines that no other disposable tableware company can match, to make your next event perfect. Moreover, quality disposable plates will fit any planning budget. Contact us today to see how Fineline Settings can provide tableware that will make your food look even better at your next party. 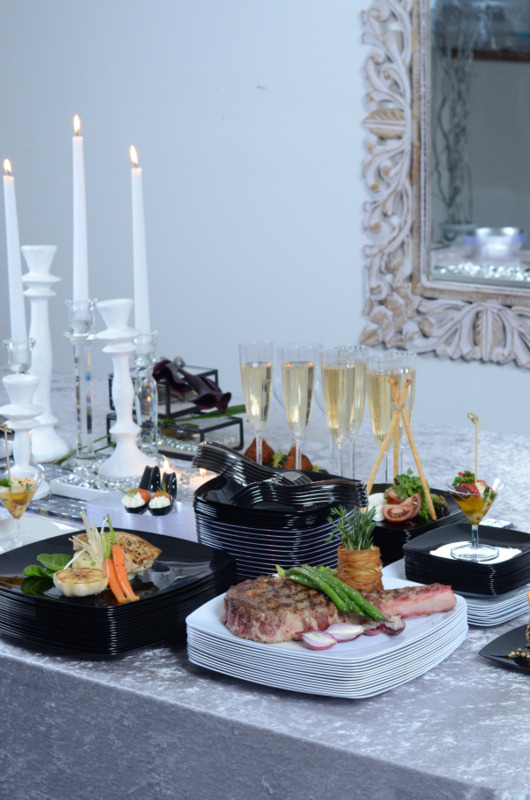 One way of easing the stress associated with throwing a party is to use high quality disposable plates, utensils and beverage containers instead of renting costly glass and china settings for the event. Along with allowing you to focus on more important matters, disposable tableware will also provide a number of other advantages. Here are a few to consider. If the party is on a large scale, that means renting plates, glasses, utensils and other tableware through a caterer or an event planner. Why go through all that expense when you can simply purchase disposable plates that provide the same level of service? For a fraction of the cost, you can have your choice of different styles, something that is even more important if the event is built around a theme. Add a Touch of Elegance! Speaking of style, most rental supplies for parties are somewhat plain in appearance. They have to be in order to work in different types of settings and events. 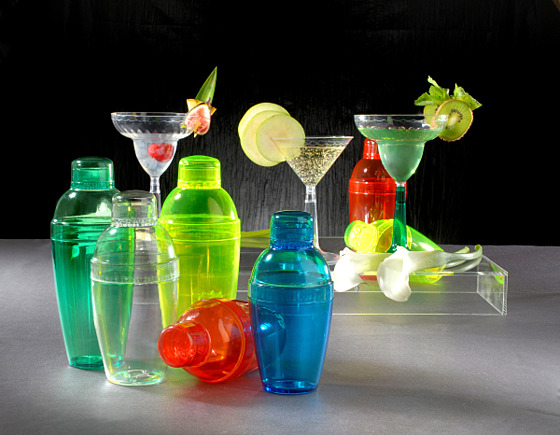 By choosing to buy disposable tableware, you have the option of using pieces that are right on target with your theme. For something more elaborate, go with silver tone plastic utensils or small plates that include some sort of gold design on the lip. If the theme is more casual, then look into fun color combinations that coordinate the scheme between the disposable plates, cups, and utensils. If style and saving money is not all that important, think in terms of how easy it is to simply toss out used disposable plates and other tableware once the event is over. The ability to scoop up all the dirty dishes and drop them in a garbage bag means that the process of getting your home or any other setting for the party in shape will take much less time. This convenience alone makes it worth your time to check into disposable tableware for your next event. Disposable plates and plastic dinnerware have come a long way in recent years. Plates are sturdy and durable, while utensils hold up very well without breaking or splintering. There's no need to compromise on style and quality in order to use disposable tableware these days. Spend a little time looking into the options on the market today. Chances are you will find products with the right combination of looks, durability and cost to make your event a success. Beauty is in the eye of the beholder; distinction in the view of the discerning; excellence in the hands of the experts. Behold the distinction of the experts: Fineline Settings - Renaissance collection. Always the innovator in the plastic tableware industry, Fineline Settings once again reshapes the face of plastic tableware with the Renaissance, the collection that will revolutionize all preconceived notions about disposables. Prepare to be impressed. Prepare to impress others with this Fineline Settings testament to good taste. Nationally acclaimed for the impeccable quality and ingenuity of all its products, Fineline Settings has achieved in a few years what the rest of the industry has worked on for decades. As predicated by their name, Fineline Settings has redefined the concept of fine dining by designing the finest lines of settings that are indistinguishable from real china. Fineline Settings ensures dreams are made real with dishes that are disposable. Entering the realm of Fineline Settings transports you to a world wherein old concepts of commercialism are elevated to new standards of professionalism. With representatives in all fifty states and exhibits at industry trade shows, Fineline Settings is positioned to fill every niche in the plastic tableware industry and poised to fulfill every expectation for every occasion and celebration. Avail yourself of the opportunity to claim the Fineline Settings success story as your own. Behold the beauty. Discern the distinction. Experience the excellence of the experts: Fineline Settings. Cleaning up after a meal can be time-consuming and stressful, and meal times are no time to worry about washing up. With your family and friends, they are a time to catch up or connect after a long day. With your business, it is a time to be focused on food quality, customer service, and speed, without worrying about how much time it will take to pack up and move on to your next event. Whether it is for a special occasion or everyday use, your family, friends, and clients deserve your time and attention – without stressing you out. At Fineline Settings, our disposable plates and other tableware have what it takes to fit any occasion. With Fineline, buying disposable does not limit your fine dining options. While all lines of products can be used in any situation, Fineline's designs help you impress those expectant guests who appreciate perfection. Guests may even do a double-take when they realize their tableware is not really China or crystal! Using disposable plates, cups, and silverware also does not mean giving up the sturdiness of traditional tableware. 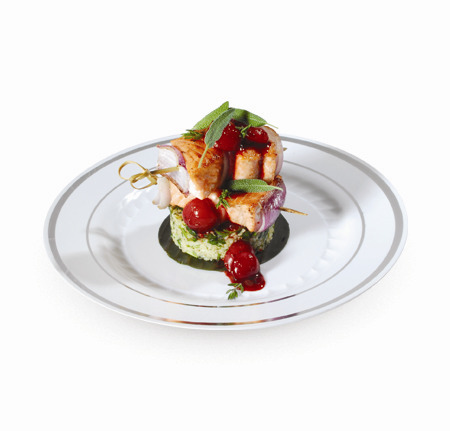 Fineline plates will hold their shape solidly whether they are used by hosts for serving or by guests for enjoying food and drink. 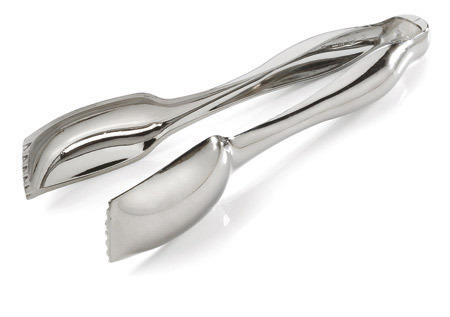 While maintaining perfect acceptability in places where high-class dining demands the best, such ware will help you transport the same level of dining to locations that would easily ruin less sturdy specimens. 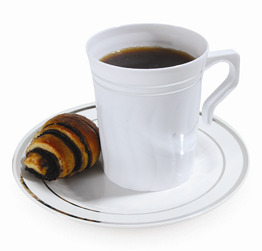 Guests and hosts alike will praise Fineline tableware for its elegance, durability, and practicality.